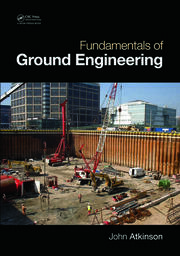 The book offers a systematic analysis of footings (i.e. 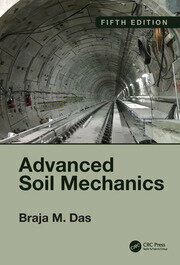 shallow foundations) in a realistic way, using constitutive relationships of the soil. The aim of the book is to deal with the theme holistically, involving the determination of the constitutive law of the soil, and then proportioning the footing occurring in different situations in actual practice. The book has eleven chapters. 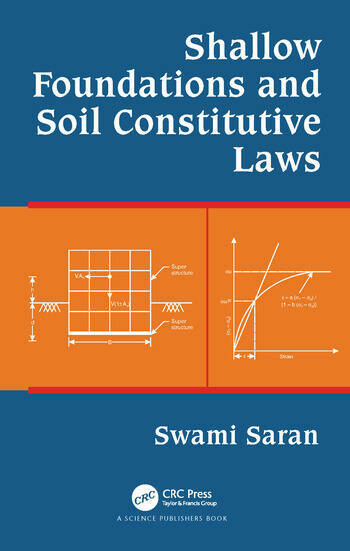 After giving an introduction and scope of the book in the first chapter, second and third chapters are respectively devoted to constitutive laws of soil and basic stress equations. 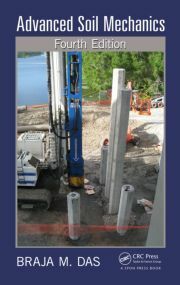 In the third chapter analysis of strip footings subjected to central vertical load has been dealt. This analysis has been extended for eccentric –inclined load in the fifth chapter. Since problems of shallow foundations resting adjacent to a slope are of prime importance, this aspect has been dealt in sixth chapter. 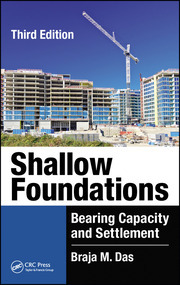 In the seventh chapter, analysis pertaining to square and rectangular footings have been presented. Effect of interference between adjacent footing is covered in chapter eight. Since ring footings are usually provided for tanks, silos, towers etc., ninth chapter is devoted to this. 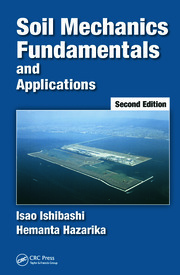 Added attraction of the book is its chapter ten in which footings located in seismic regions have been covered. Effect of embedment below the ground surface on the behavior of footings located both in non-seismic and seismic regions has been dealt in the chapter eleven. 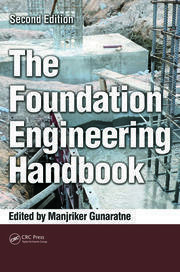 The book is intended for senior undergraduate, postgraduate and Ph.D. students of civil engineering, research scholars, practicing engineers, teachers and academicians. The analyses are based on the latest information available. A number of illustrated examples have been included in the text. SI units have been used in the book. Dr. Swami Saran, Emeritus fellow (retd.) from the Department of Earthquake Engineering, Indian Institute of Technology, Roorkee, obtained Ph.D. in 1969 from the University of Roorkee. An established teacher, researcher and active consultant, he is the recipient of Khosla Research Awards (four times), IGS Awards (six times) including the prestigious Kuckulmann Award and also awards from I.S.E.T., I.S.T.E. and I.S.C.M.S. He has guided 29 Ph.D. Theses, 82 Masters Theses, published 204 research papers and 7 Books. Dr. Saran has initiated research work on reinforced soil, analysis of foundations using constitutive laws and displacement dependent static /seismic analysis of retaining walls. He has provided consultancy to more than 300 projects of national importance, including multistoried buildings, cement and tyre factories, thermal plants, machine foundations, towers and chimneys, bridges, oil storage tanks, historical monuments, ground improvement problems etc. He visited UK in 1974 under an exchange programme and AIT Bangkok as a Visiting Professor in 1987. He has also visited USA, Australia and Nepal to attend conferences. He is a member of several national and international professional bodies. A National Conference (NCFRS – 2007) was organized at IIT Roorkee to honor him. Considering his contribution, in 2011, Indian Geotechnical Society conferred Honorary Fellowship to him.